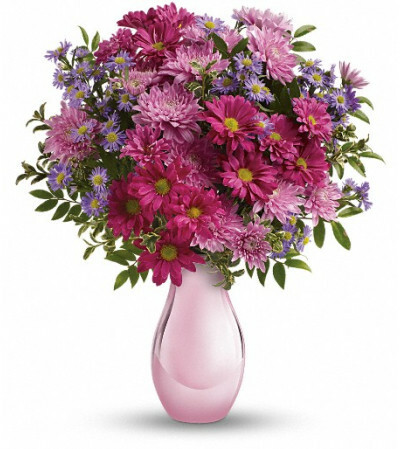 Simply sweet, this charming bouquet of asters and chrysanthemums is accented with a shimmering pink keepsake vase she'll always treasure. Purple monte cassino asters, lavender cushion chrysanthemums and pink daisy chrysanthemums are arranged with huckleberry and oregonia. 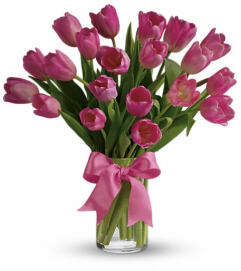 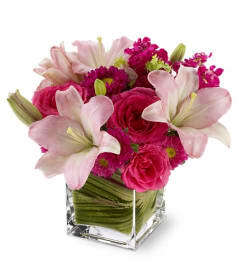 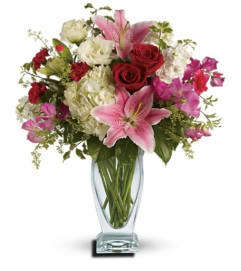 Delivered in a beautiful Pink Reflections vase.